You are looking for somewhere different for a drink, a business dinner, a family celebration or just a snack ? 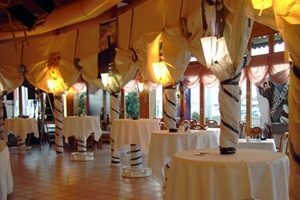 Le Carrousel de Vidy is a dream location for your dinners! We would be delighted to tell you more. Menu options are available for 15 to 200 people, reserved in advance. Drinks service and all catering are carefully organised. We can also provide a banqueting hall for about fifty people. It can also be reserved for a meeting or other gathering. Contact us, we will give your a free quotation !